Wel­come Screen in light theme. Wel­come Screen in dark theme. 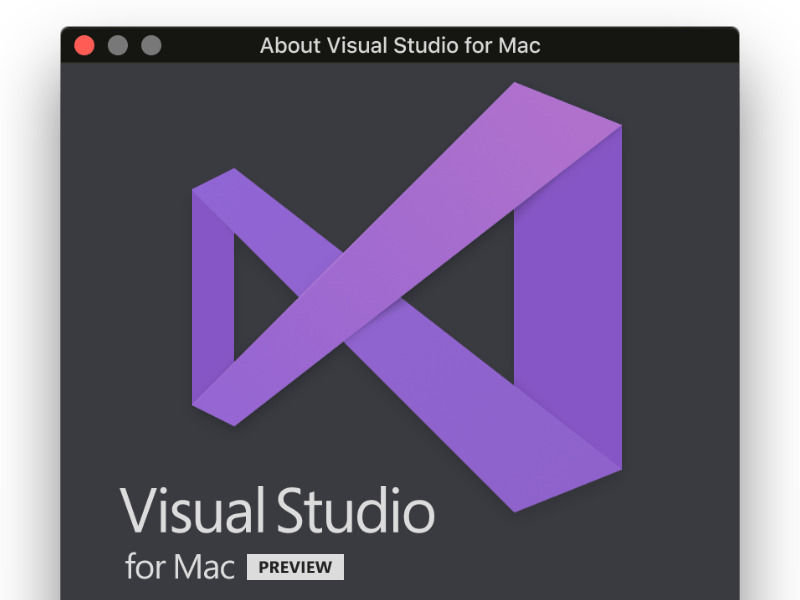 Dark ver­sion of the Visu­al Stu­dio for Mac About dialog. 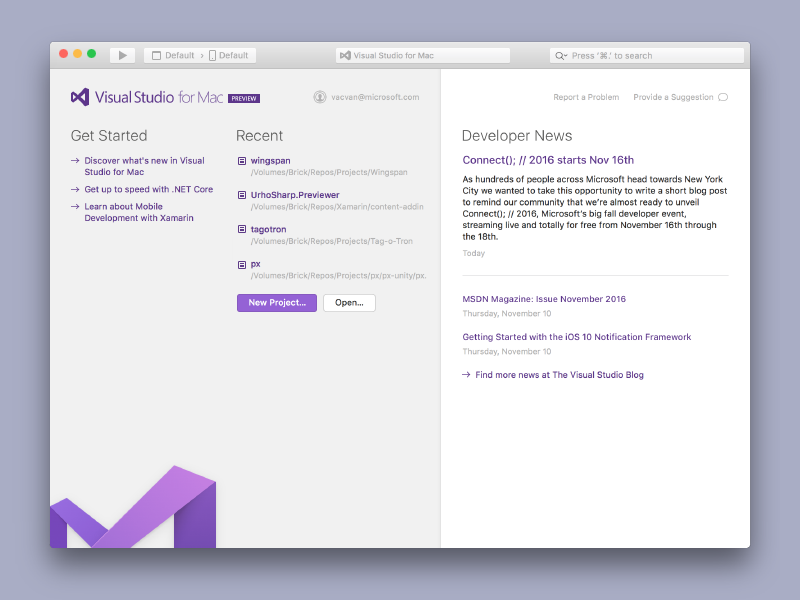 The new Wel­come Screen of the Visu­al Stu­dio for Mac. 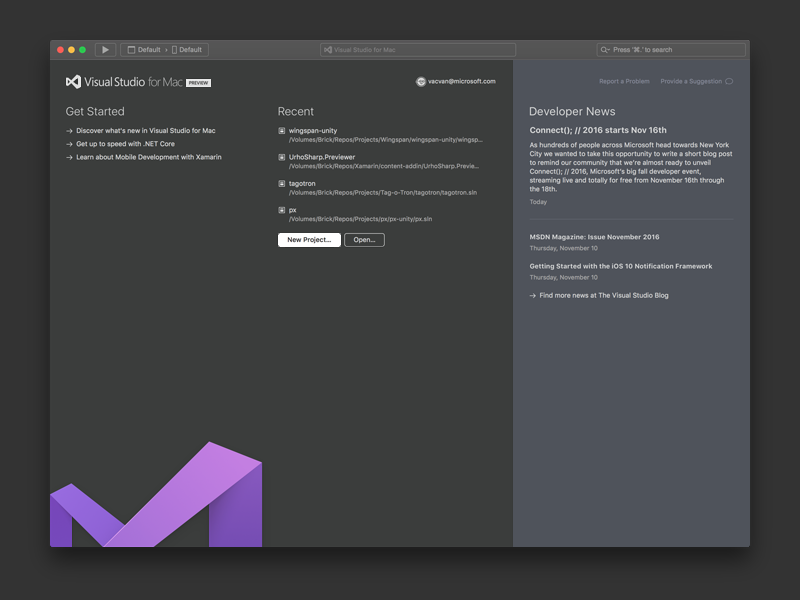 The dark theme of the new Wel­come Screen of Visu­al Stu­dio for Mac. Recent projects fil­ter­ing and key­board navigation.